Birthdays are always good to be celebrated but sometimes the organising of such an event can require some time. Hence together with a friend, we decided to plan a birthday dinner for a close friend. 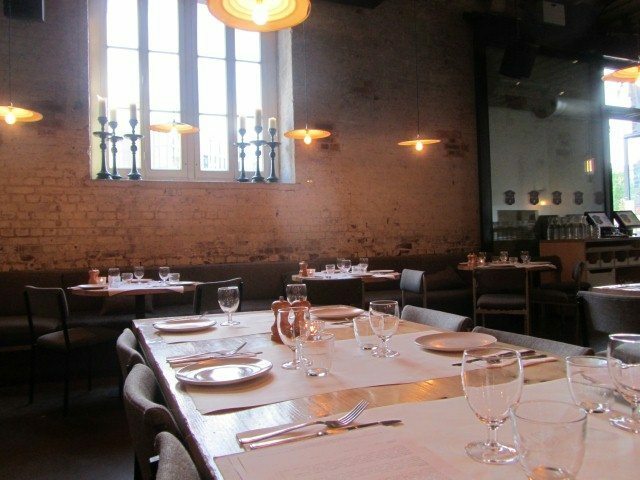 Originally Grain Store was suggested but as it was fully booked even though the booking was tried to be made a few weeks before the event, the next option was Caravan next door. 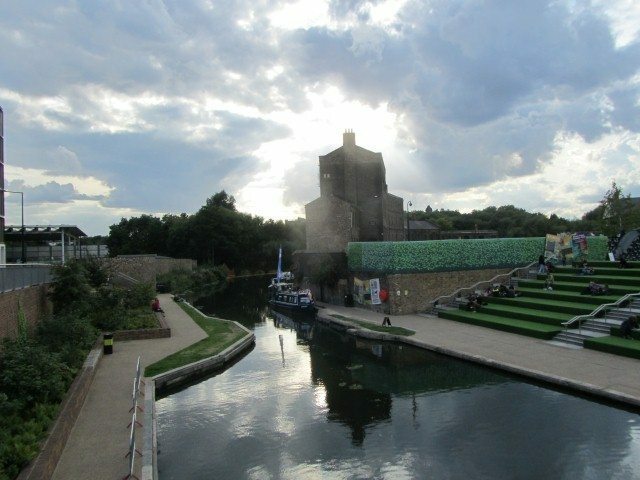 The area in and around Kings Cross and the canal has undergone a big change compared to a few years ago. 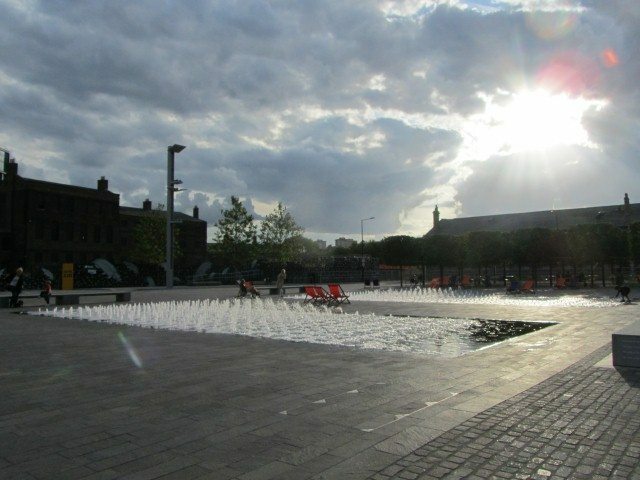 The regenerated area has made way for Granary Square, “grass” covered stairs, deckchairs and playful fountains. Granary Square has also become home to a few restaurants. 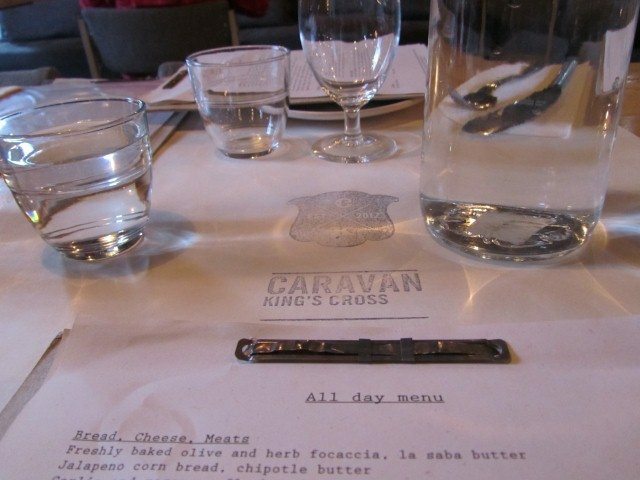 Caravan has a lively atmosphere and a great vibe about the place. It has a warehouse feel to it with exposed metal frames. The kitchen is at one end. 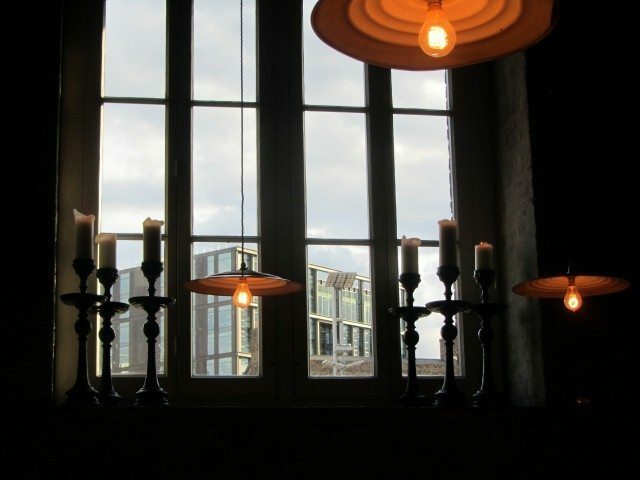 Candlesticks and low lighting decorate the windows and the dining area. 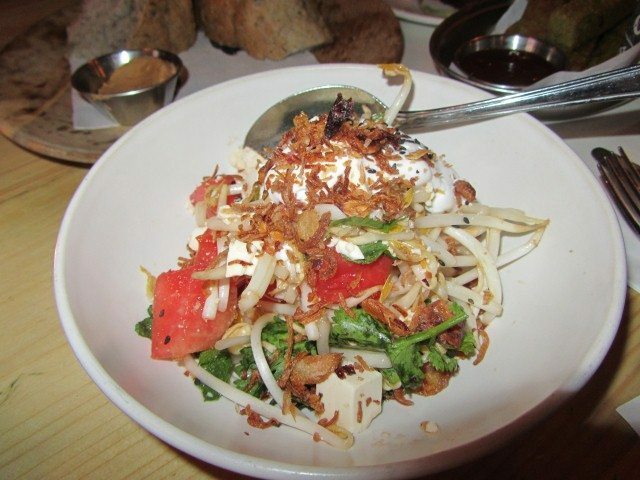 The menu is split into small plates, large plates, breads/cheeses/meats and sides. 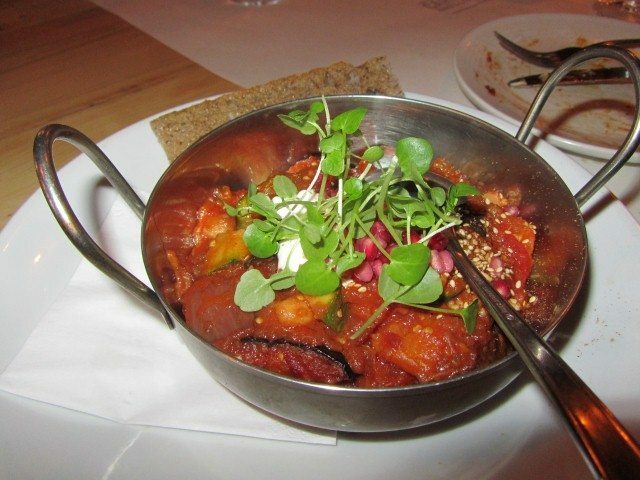 This makes it great for a group of diners as it enables you to try a variety of dishes. 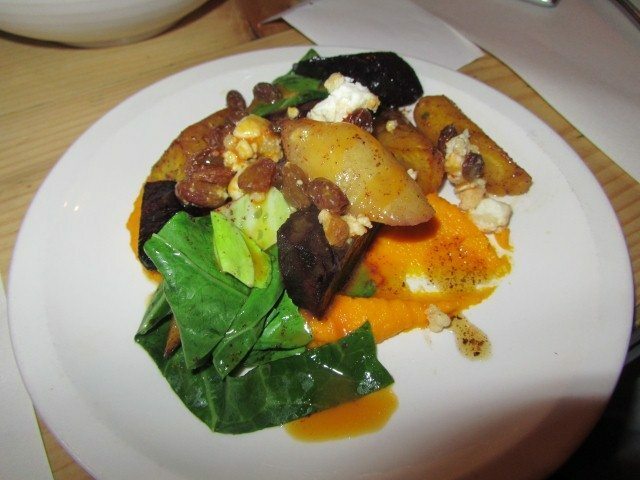 Caravan boasts a fantastic range of really fresh seasonal vegetarian food. The dishes are brought out as soon as they are made so they come at random times. This is not a bad thing as it gives you time to start sampling the delights. 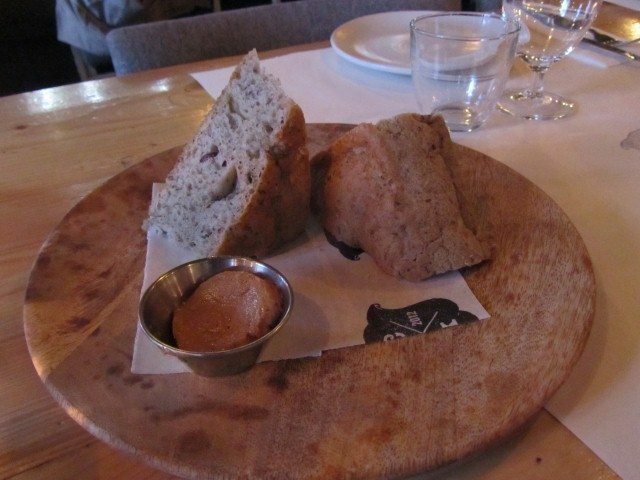 For the breads, a corn bread and focaccia was chosen. The corn bread was not spicy even though it had jalapeno. It had a nice flavour and was more cake like than bread. The olive and herb focaccia came as two wedges with la saba butter. It was not oily at all. Caravan puts flavours that you wouldn’t think to put together such as watermelon, tofu, coconut yogurt and lemongrass caramel but it really does work. 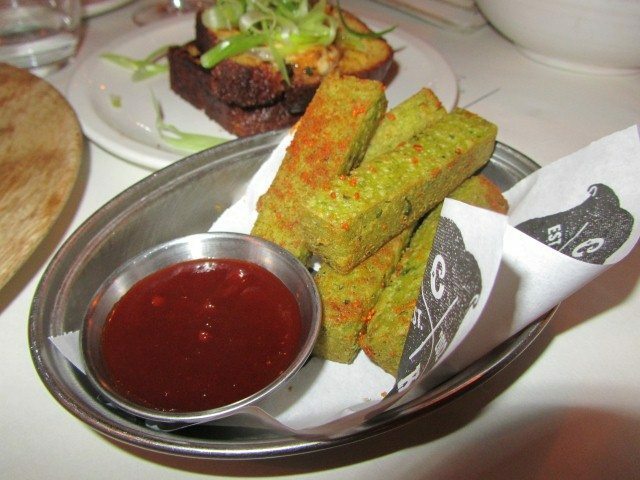 One of my favourites had to be the chickpea chips with the jalapeno ketchup. Gone away is the grainy falafel like texture which is what I was expecting. Instead, the chickpea chips had a wonderful smooth puree like interior with a crispy outer. 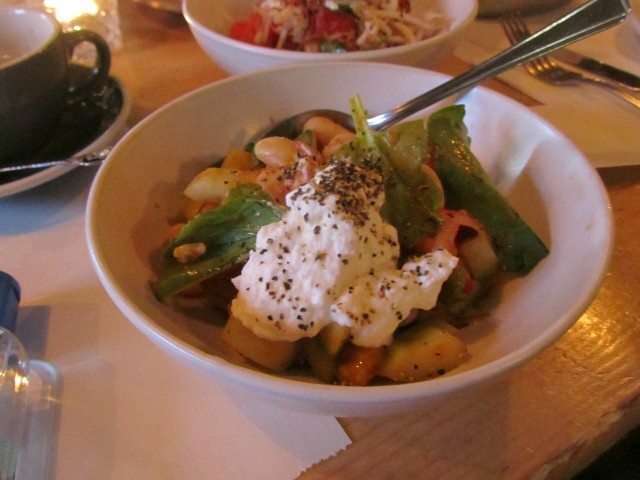 Butterbeans with heirloom tomatoes and goat’s curd had a real freshness to it. This was helped by the gazpacho dressing. Contrasting colours of the heritage carrots was beautiful. The carrots had a bite to them and hence were not overcooked. The dish also had goats cheese, sultanas, greens and ras el hanout. 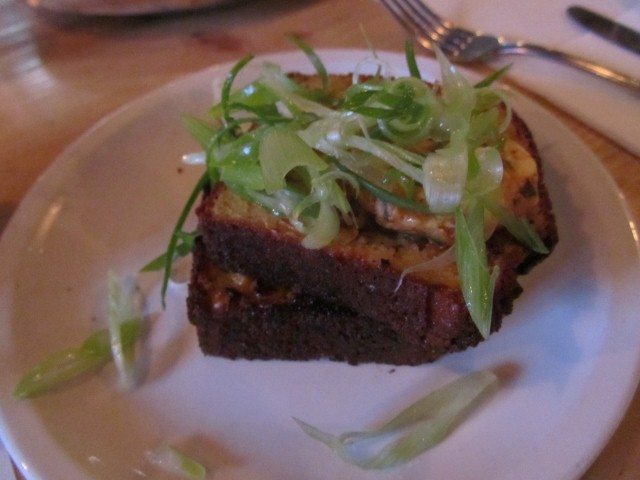 The large place of aubergine maghmour, courgette, dukkah, yogurt and sumac focaccia was delicious and hearty. For dessert, I was lucky enough to try a bit of the chocolate pot with raspberry and blackcurrants. The rich chocolate contrasted the tart berries. What is there not to like?! Caravan specialises in coffee and they are coffee traders and a roastery. 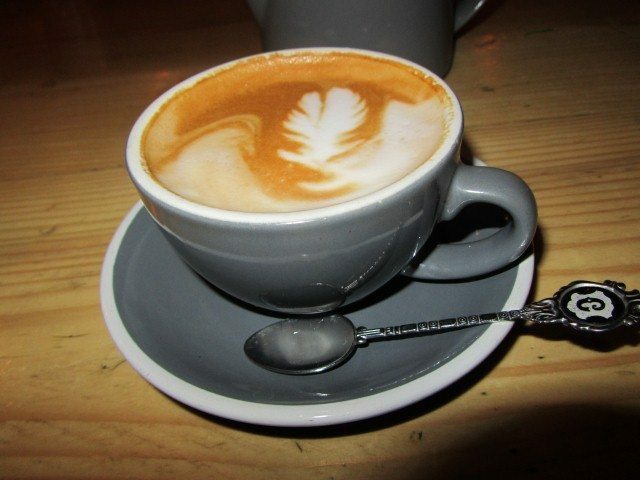 The decaffeinated cappuccino was really smooth and made a good end to the feast. 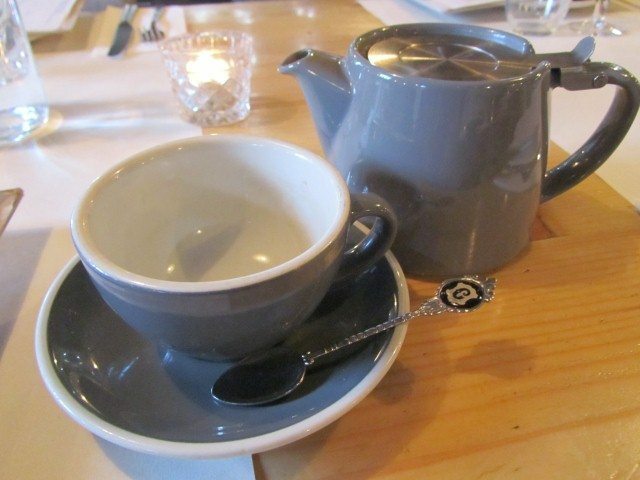 Hot water was also served and this was given in a teapot. 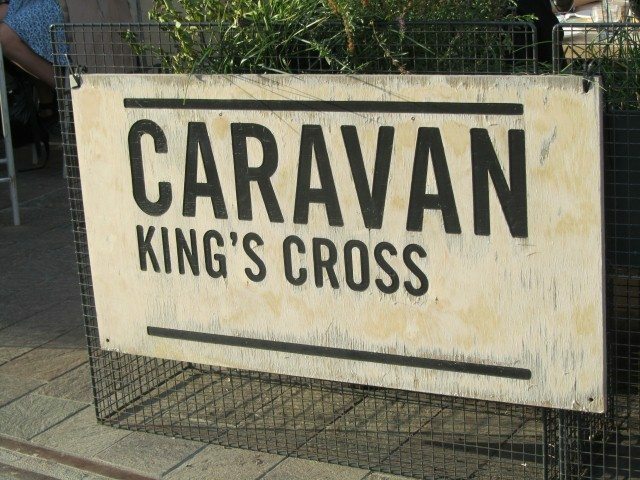 The only qualm that I have about Caravan is that they only give diners two hours and fifteen minutes at the table. So the issue that we came across was that when we were told that our time was up at the table, the staff still let us order more drinks. This brought about some confusion as in where were they expecting us to drink the drinks if we had to leave the table. It seems like the days are gone where you can just spend as long as you want out for dinner. It is a shame to have to be time conscious, especially when you are out for a special occasion. On a plus note, when Caravan was emailed prior to the booking, asking about certain dietary requirements and queries about their food, they did respond with some good suggestions. The staff and service was good and friendly. All in all the evening out at Caravan was a success! The main thing is that the birthday girl did have a good time for her dinner out with friends. Guess we should start planning something for next year!